1. 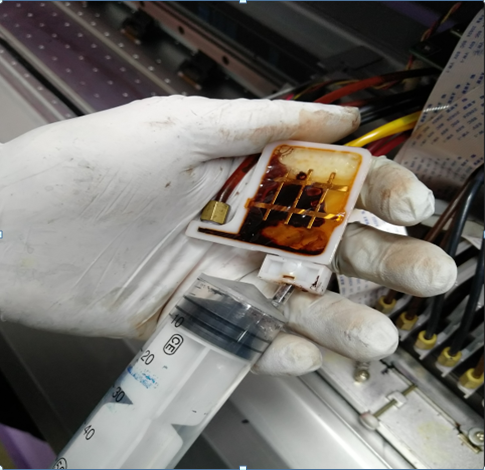 Remove the ink cartridge from the machine, pour the ink from the cartridge and clean it with a cleaning solution (or replace it with a new one). 2. Locate the ink bag and use a syringe to draw ink from the ink bag until the ink cannot be withdrawn. 3. Pour a clean empty cartridge into the appropriate amount of cleaning solution and insert it into the machine. 4. Using a syringe to draw the cleaning solution from the ink bag, repeat the operation until the ink bag is filled with the cleaning solution. 5. Wait for a period of time after the entire ink path is filled with the cleaning solution, so that the cleaning liquid can better clean the ink bag and the ink tube. 6. 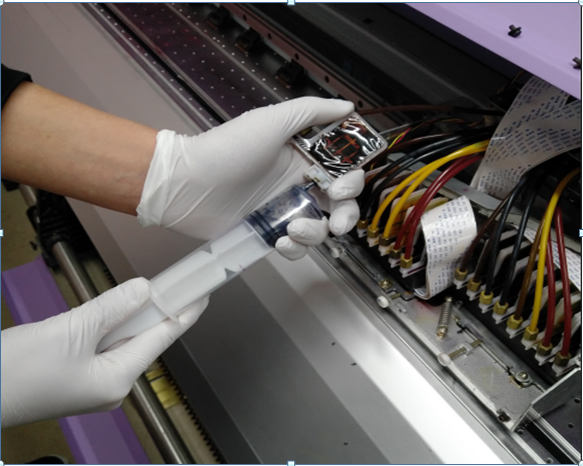 First remove the ink cartridge from the machine, then use the syringe to draw the cleaning solution through the ink bag, and finally install the ink bag. 7. 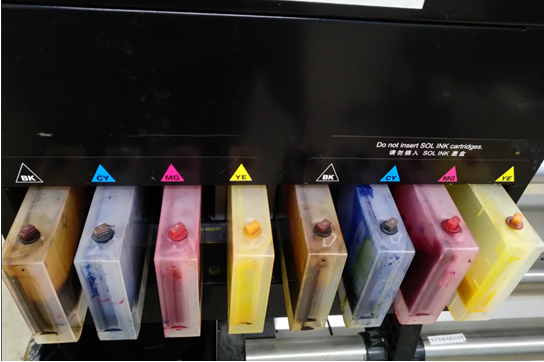 Remove the ink cartridge to check for residual cleaning fluid, clean the residual cleaning fluid from the cartridge, inject the ink, and put it into the machine. 8. Select the maintenance item through the machine's control menu for deep cleaning, cleaning several times, and then print the nozzle check. When the satisfactory effect nozzle check pattern is used, normal print operation can be performed. I hope the above methods will help you. If you encounter other technical problems, please feel free to contact us. Next: Heat Transfer Vinyl became a hot spot in the thermal transfer market in 2019!